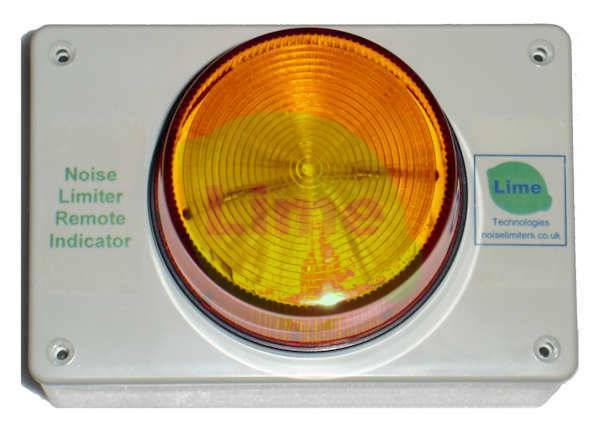 Very bright amber flashing beacon for NLX mk1 (pre 2013) Noise Limiter. Alternative to the standard remote indicator display for use where higher visibility is required. Provides a highly visible warning to performers that the volume level is too high and must be reduced. Compact, bright remote display also available - Click Here for details. Large, spot light type remote display also available - Click Here for details.